UNC finally makes their first appearance on the list. I will admit that this might be a bit high, but I love this kids game. 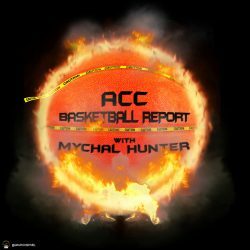 Kicking off the top 10 returning players in the ACC, Cameron Johnson. Look, I am aware that just yesterday I called Kyle Guy one dimensional. I will admit that Johnson also falls in that category, more than half of his field goal attempts did come from deep, but in the 8-12 spots, I think you are kind of splitting hairs. Johnson also did average 4.7 rebounds and 2.3 assists to go along with his 12.4 points per game. It will be interesting to see how Johnson’s senior season goes for a couple reasons. The first is that right now, UNC doesn’t have a true and reliable point guard. Coby White is talented, but is he a point guard? The other is that the Tar Heels have an embarrassment of riches on the perimeter. With only one basketball Johnson may be relegated to another season of spot up duty. The upside here is that everyone anticipates that Ole Roy will go with the 4 out/5 out lineup from the get go this year. In an up tempo offense where these wings can get out and run Johnson will surely flourish. Again, this may be a bit high but I truly think that if you put Cam on any of the bottom four teams in the conference, he is immediately their best player.